in a popular social media site. 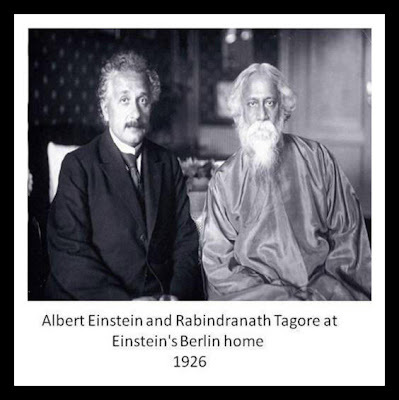 One photo is of India’s first Prime Minister Jawaharlal Nehru with German chancellor Konrad Adenauer (1960), and the other is Albert Einstein with poet Rabindranath Tagore at Einstein’s Berlin home (1926). In Twitter, visitors complimented Akbaruddin for releasing a photo that has Tagore and Einstein in the same frame! It is proposed to fill the post of adviser (joint secretary level) in the National Disaster Management Authority under the ministry of home affairs on a deputation basis for a period of five years. The post is of non-Central staffing scheme which will be filled through civil services board procedure. Those who are empanelled for the post of joint secretary and equivalent can apply for the same within four weeks. a) Anupam Prakash, a 1998 batch IRS (customs and central excise) officer, who was recommended for central deputation by the department of revenue, has been selected for appointment as director in the ministry of steel. What a photo! Congrats Mr Akbaruddin.